Blizzard will soon be offering pre-orders for World of Warcraft: Cataclysm on the Blizzard store, which will enable fans to play exactly at midnight. At BlizzCon 2010 this weekend, Blizzard announced that it'll be offering World of Warcraft: Cataclysm digital pre-orders directly from the Blizzard Store. This is apparently a first for the series at an expansion's release and will theoretically allow players to get started from second one. Blizzard's Mike Morhaime revealed at the convention's opening ceremony that a pre-order listing for Cataclysm will soon pop-up on the Blizzard Store. Blizzard will allow its direct customers to download and install the expansion before its release date. When the time hits one second past 12:00am on December 7, World of Warcraft players can jump right into Cataclysm's newly destroyed lands. Installing and/or patching an MMO can sometimes take a good amount of time, so even those waiting outside of a retail store to get their Cataclysm copies at midnight won't be able to play as quickly as Blizzard Store customers. Plus, you don't have to leave your house. I don't need to tell anyone how helpful that can be. It's not yet clear if Cataclysm's digital pre-orders will go live at midnight in each time zone they're purchased, or only at 12am PDT. 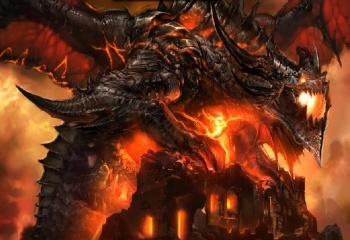 For World of Warcraft players on the east coast that want to begin their paths to Deathwing as quickly as possible, those few hours could make a huge difference. Specific details should come out when Cataclysm goes up on the Blizzard Store in the near future.